First day of School is an important day in the life of our little ones. As parents we go through a mix of emotions - will he cry? will he miss me? will the teachers understand what he wants to say?...For the child, I think ,initially, he is more interested in the paraphernalia - new school bag, snack box and water bottle. The concept of school hits him once he has to leave his parents and walk into the school without Mama or Papa. 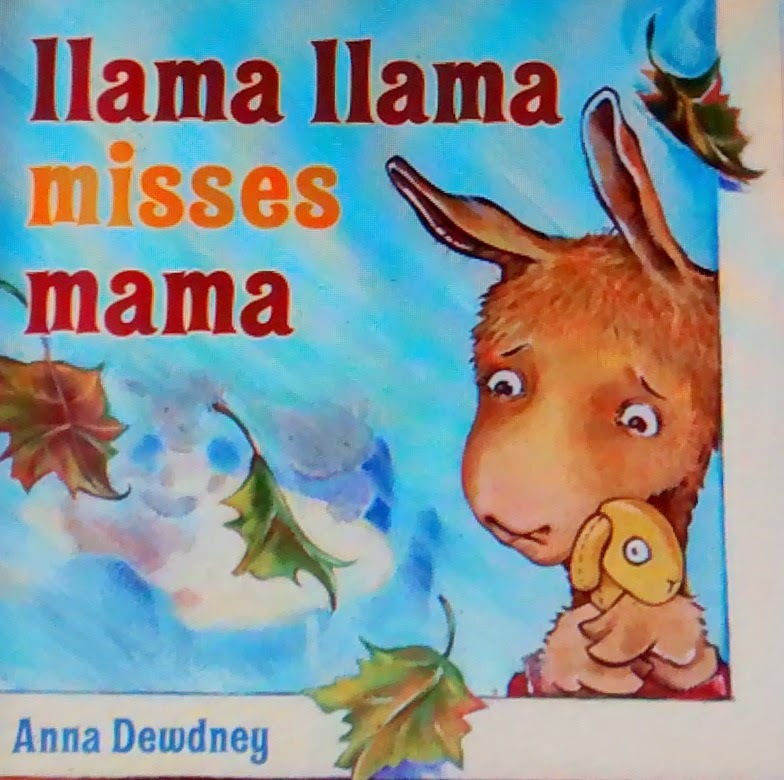 To beat the 'First Time to School' blues try Llama Llama Misses Mama by Anna Dewdney. It is available in Amazon in all forms - Kindle, hardcover, paperback, audio CD and audible book. But I found it in a wonderful site We Give Books all for free !!! The book is about a Llama's first day at school. His Mama wakes him up, gets him ready and rushes to school as they are getting late. ( something that happens in my home almost every morning) At school he is introduced to his new teacher and new friends and soon it's time to kiss Mama Goodbye. The little Llama feels out of place. He is apprehensive and shies away from all activities going around him. He sobs. His teacher, a Zebra says it is Ok to miss Mama and assures him that his Mama will definitely come to pick him up once school time is over. The piglet, kitten and giraffe baby( what do they call a baby giraffe ??) try to break the ice. They have fun together at the playground. Slowly Llama gets comfortable at school. But he is definitely overjoyed to see Mama when she comes to pick him up. He plays a while at the playground, hugs his teacher and says Goodbye to his new friends. Llama at the end of the day starts loving school too. A beautiful way of assuring the child that It's not only him, many children feel the same when they go to school for the first time. I would recommend reading it to the child after he comes home on the first day of school. He will be able to associate with little Llama and his feelings. What was your experience when your child went to school for the first time ?